(21st Hapilos Digital) - Digital distributing giants 21st Hapilos summer releases are hot off the presses with Fras Twinz "Happy Daze riddim", Don Corleon records "Peenie Wallie riddim" and Romiech Records "Negirl Weekend riddim"! 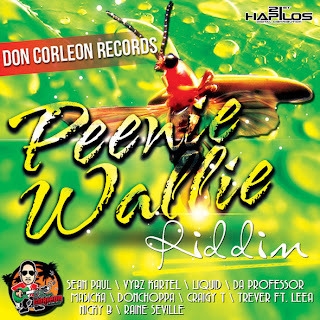 Peenie Wallie riddim produced by international top billboard producer Don Corleon features such artists as Grammy Award winner Sean Paul, "World Boss" Vybz Kartel, Craigy T from chart topping dancehall group T.O.K, Liquid, Da Professor, Masicka, DonChappa, Trever feat Leea, Nicki B and Raine Seville. To the delight of music fans, Don Corleon streamed the creation and building of his latest dancehall riddim via ustream (view the studio session HERE). The riddim is now available on itunes. Negril Weekend riddim produced by Romiech records pulls it's inspiration from it's namesake yearly event in Negril, Jamaica. With a finger on the pulse of everything hot, Romiech is known for hot designs and even hotter music which embodies dancehall as a whole. Known as "Warlord aka 5 Star General aka the Poor Peoples’ Governor", Grammy nominated Bounty Killer leads the riddim with the hit single "Nah Say We Sorry", followed by Laza Morgan, Bugle & YVP, Patexx & Iyara, Fambo, Versatile feat Denyque, TOK, Chi Ching, Ding Dong & Teetimus, Zagga and Ravers Clavers. 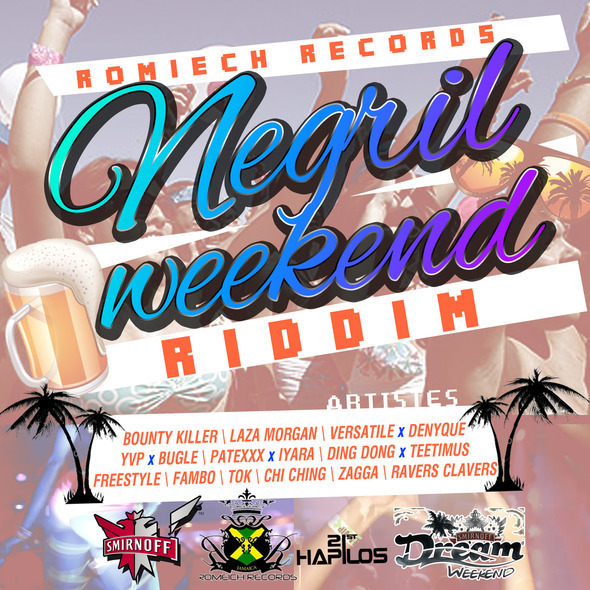 Negril "Dream" weekend takes place from August 1-6 and Negril Weekend riddim is now available on itunes. 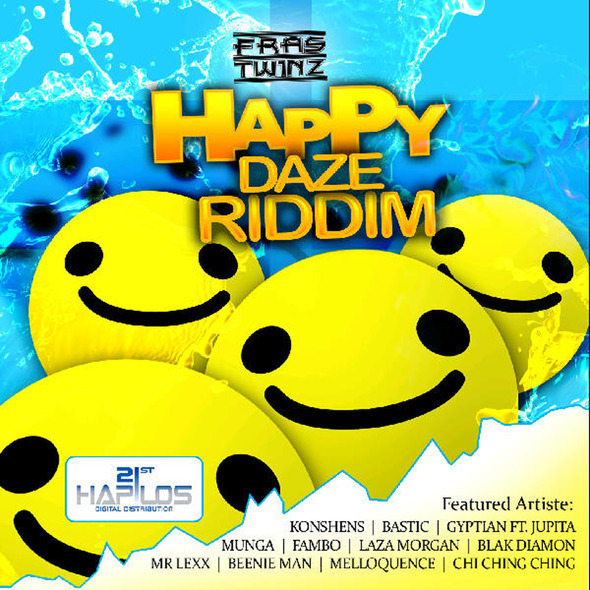 Happy Daze riddim produced by Fras Twinz indeed leaves you in a state of musical happiness as the beat drops. Fraz Twinz whose motto is "GOOD POSITIVE MUSIC" delivers on that promise with songs from top dancehall artists such as Konshens, King of dancehall Beenie Man, veterans deejay Mr.Lexx, Munga, Laza Morgan, Chi Ching, Blak Diamon, Fambo, Gyptian feat Jupita, Bastic and Melloquence. The riddim is now on itunes.